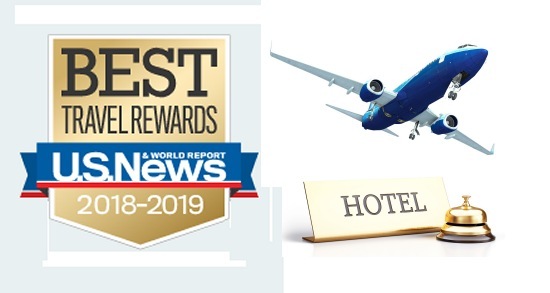 In what is becoming an annual tradition, U.S. News & World Report has released its ranking of airline and hotel reward programs. For airlines, the news mag evaluated nine leading carriers using a methodology that takes into account each program’s earning and redemption values, benefits, network coverage and award flight availability, with an emphasis on the ease of earning miles and redeeming free flights for basic members. Alaska Airlines took the top spot, with 4.54 out of 5 points, followed by Delta, JetBlue, American and Southwest, all scoring over 4 points. For hotels, sixteen of the most prominent hotel loyalty programs were evaluated factoring in member benefits and the average number of paid nights required to earn a free stay, with an emphasis on the ease of earning points and redeeming free nights for basic members. Marriott took the top spot, with 4.88 out of 5 points, followed by Wyndham, Hyatt, Choice, Best Western and IHG, all scoring over 4 points. Corporate travelers should remember that your choice of an airline or hotel should have as its first consideration your company’s preferred suppliers. Most corporate airline programs allow the flyer to accumulate frequent flyer points on travel booked at negotiated corporate rates. So by aligning your personal reward programs with your company’s preferred suppliers you will avoid conflicts of interest where you are costing your employer money while trying to earn points on a non-preferred airline. Teplis advises its clients to sign up for as many corporate airline reward programs as practical. These secondary loyalty programs accumulate points when the company’s preferred supplier doesn’t have a flight or fare that is the best available and you wind up booking the flight on a non-preferred carrier. While it seems complicated, your Teplis agent can assist you in the decision making process utilizing savings thresholds which are written in your company’s travel profile and tell us when savings on a particular flight warrant booking with a secondary carrier.